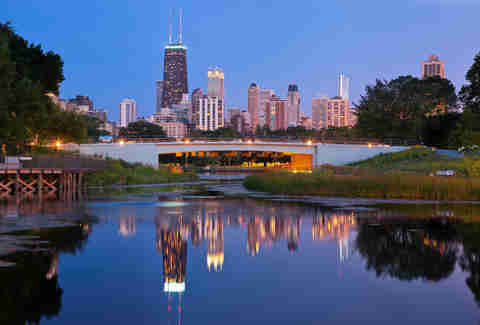 Did election stress make you entirely forget what actual beauty can be derived from the brilliant cityscape of Chicago? 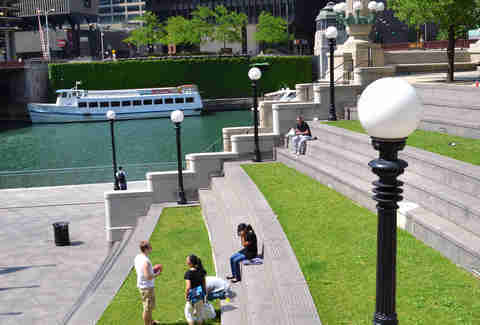 Get out this week, relax, and appreciate the dazzling views at any of these advantageous spots around town because if you know where to look, beauty can be almost everywhere you look (except in Wrigleyville). Tripping over bleary-eyed frat bros in YOLO wife beaters at Castaways isn’t the only way to experience what Chicago beaches have to offer. 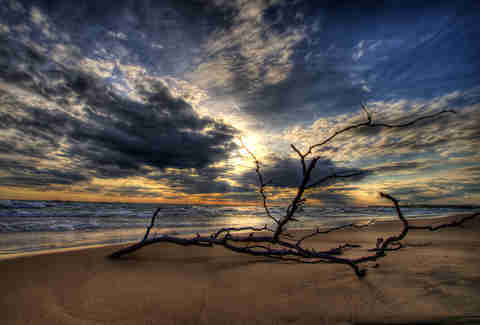 There’s beauty sprinkled liberally amidst its sand and sea, particularly around the lesser-visited beaches up north. And if you get up early enough, you might even see this. Lincoln Park (the neighborhood) on a Saturday night? Not so beautiful, especially at one of these places. 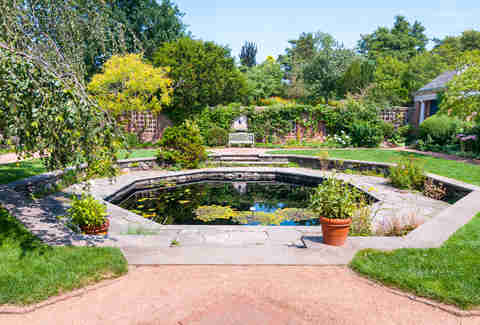 But Lincoln Park (the park) is always a great alternative, especially in the area around North Pond (the restaurant), which is pretty damn beautiful in its own right. 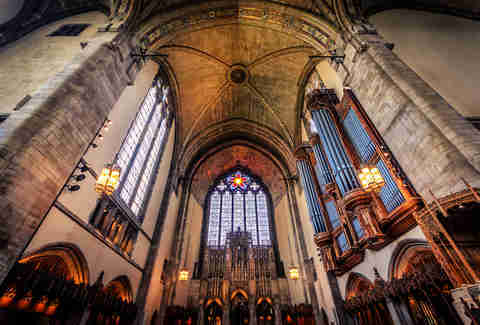 While it probably brings up painful memories of being forced to sit still in your chair while your tie is way too tight and you’re missing the goddamn Bears game, the act of going to church is made much more palatable when said church is as beautiful as Rockefeller Chapel on the University of Chicago campus. Not too many beautiful things are going down beneath the roof of City Hall these days, unless you count Ronnie Woo Woo’s awesome protest of Rahm Emanuel. 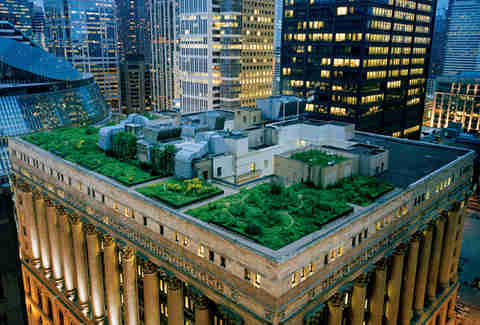 But none of that matters 11 stories up, where 20,000 plants and more than 150 species make up the city’s most famous rooftop garden. It’s also good for the environment, which is a pretty beautiful cause. 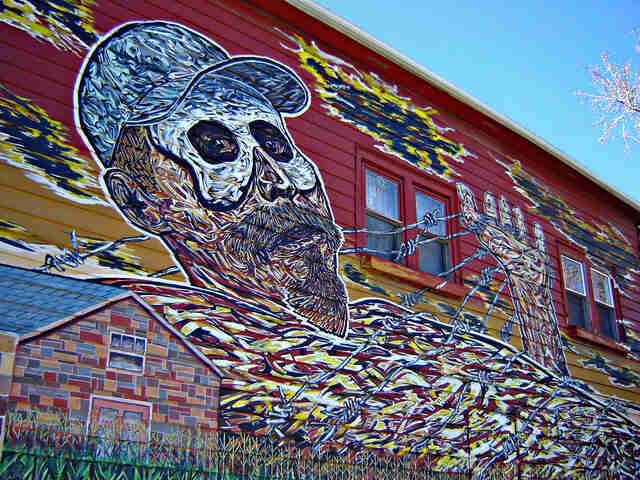 Little Village is a great hood with some pretty damn great murals, but Pilsen’s mural game is equally on point. Just stroll the hood and gems like this pop up in some pretty unexpected places. Like the side of a house, for example. Islands in Chicago? Are you smoking the green again, Thrillist? Well, maybe, but that’s beside the point. 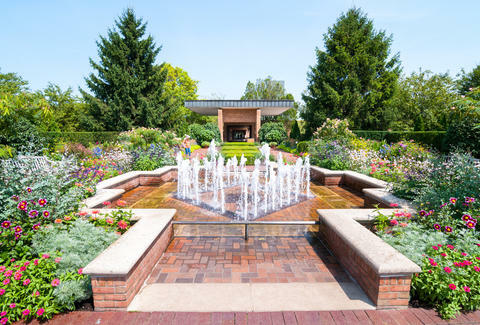 Chicago Botanic Garden has got islands, nine of them, plus a date destination pretty much guaranteed to ensure some heavy petting under the trees. Is Al Bundy beautiful? What about Peg Bundy’s absurd haircut rivaling even that of The Donald? And what the hell ever happened to Bud Bundy? We don’t know, these are deep life questions for another time. Ponder them over the beauty that is Buckingham Fountain, just preferably not anywhere near the time Lollapalooza gets the face of Chicago shitfaced. When you’re being mobbed by tourists and being asked to take some family from Missouri’s photo for the 12th time because little Kevin wasn’t smiling in the last one (damn you, little Kevin! 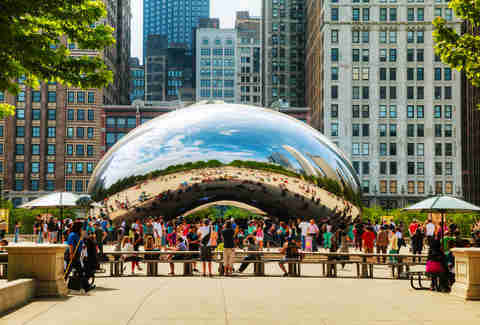 ), The Bean can seem like a less than beautiful place. But capture the sky’s reflection on a sunny day with just the right amount of clouds, and it’s a whole different story. Do you like birds? Do you like walking serene trails through the woods? Do you like killer views of the beach and skyline? Yes, these are all beautiful things. 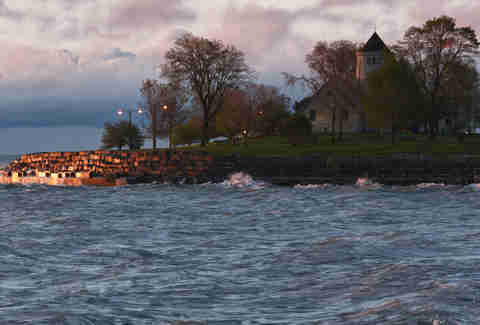 And yes, they all exist at Montrose Point. 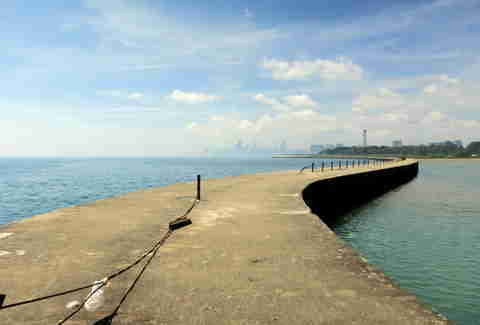 The Dock at Montrose Beach is also equally beautiful. Depending, of course, on who’s on stage. Despite the totally subtle lettering on the tower named after a totally not small-handed presidential candidate, the Chicago Riverwalk is a beautiful yet somehow still pretty underrated way to spend your day. Rising up 23 floors and 568ft, this rooftop skyscraper church is home to the First United Methodist Church of Chicago and is reported to be the highest church building in the world. Which is a beautiful thing, no? 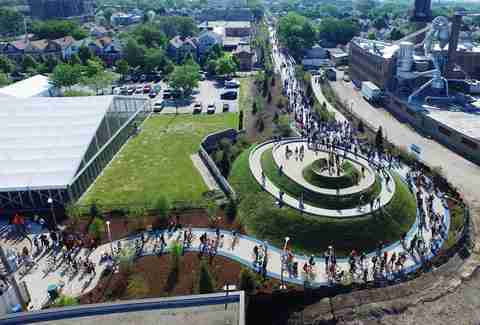 When you’re not being assaulted by sweaty joggers and crying babies being pushed in strollers who are TOTALLY not enjoying themselves, the 606 is a remarkably beautiful place. Plus there’s tons of places to eat and drink along the way, which is also a thing of beauty. 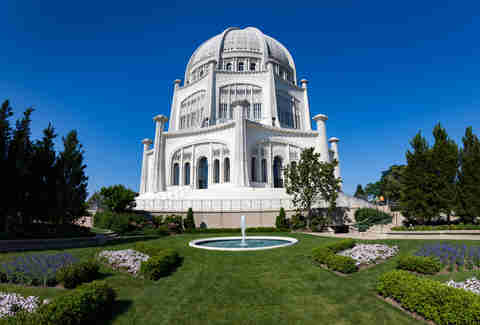 If you’ve ever driven by this place and been like, “whoa, what the hell is that?” It’s not the Taj Mahal, it’s the Bahá'í House of Worship in Wilmette. 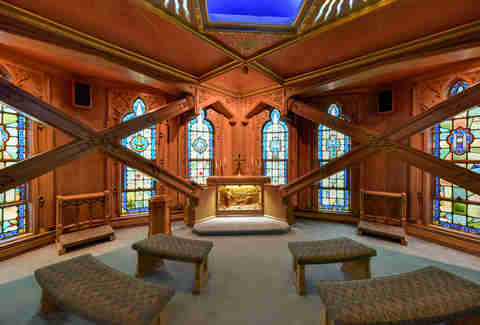 It’s one of only eight Bahá'í temples in the world and, in addition to being the oldest surviving temple in the Bahá'í faith, is the only one in the United States. 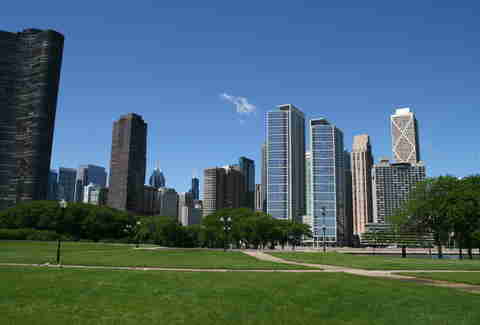 Despite its dangerously close proximity to Navy Pier, one of Chicago’s most underrated destinations is also one of its most beautiful -- particularly the breathtaking view of the skyline over the lake and Ohio Street Beach. This charming little peninsula in Burnham Park is one of the city’s best-kept secrets.